CHINA’S TIBET POLICY – RECIPE FOR NATURAL DISASTER. ONE BELT, ONE ROAD POLICY OF NEOCOLONIALISM. 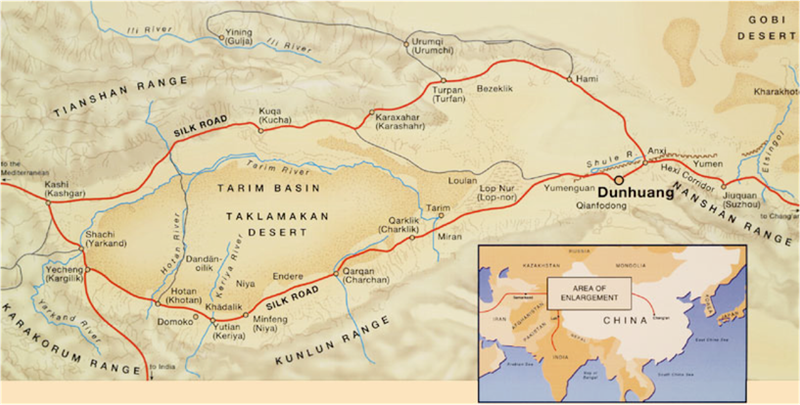 GEOGRAPHY OF SILK ROAD. Red China’s Tibet Policy is driven by Expansionist Doctrine proclaimed by Communist Party Chairman Mao Zedong in 1949. China’s Neocolonialism includes Territorial Expansionism, Military Expansionism, Economic Expansionism, Political Expansionism, and Cultural Expansionism. Red China accomplishes her Mission using tools of Oppression, Repression, and Suppression to subjugate people in all occupied territories. 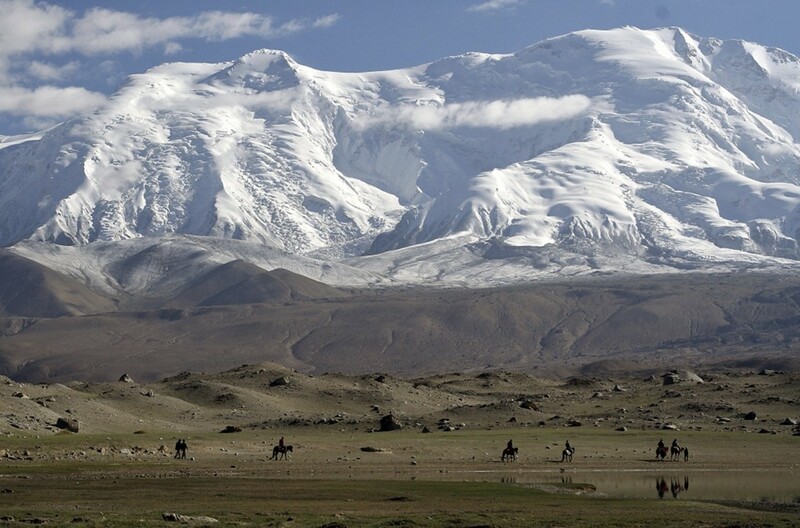 In my analysis, China’s Tibet Policy in Tibet and Xinjiang is Recipe for Natural Disaster. Nature designed its own plan for this geographical region and for thousands of years, the denizens of this region lived in harmony with Nature’s Plan. I claim, “Beijing Doomed,” for in my expectation, Nature has Plan for Change of Regime in Beijing. CHINA’S TIBET POLICY IS RECIPE FOR NATURAL DISASTER. ONE BELT, ONE ROAD POLICY – NEOCOLONIALISM. The stability of the Muslim region is vital for Beijing and its gigantic BRI project. At the end of August 2016, Wu Yingjie takes over as party secretary of the Tibetan Autonomous Region (TAR) from Chen Quanguo who is sent to “pacify” the Xinjiang Uyghur Autonomous Region (XUAR). The Politburo of the Chinese Communist Party has taken this crucial decision during the annual closed-door meeting in the summer resort of Beidaihe. Chen replaces Zhang Chunxian as XUAR party secretary. It is indeed a promotion for Chen, given the fact that Xinjiang’s party secretaries often serve in the politburo. His selection is linked to the “Tibet Recipe”, the way Chen managed to “pacify” the TAR. Once in Urumqi, Chen immediately started applying the formula that he used in Tibet to Xinjiang. But what is this recipe? First, Chen transformed the Roof of the World into a vast Disneyland. 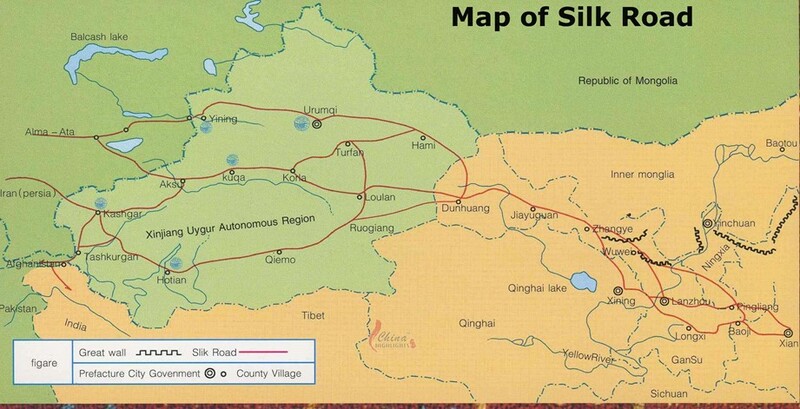 In 2006, the arrival of the train on the plateau changed everything for Beijing and unfortunately for the Tibetans. Wave after wave of Chinese tourists could be poured into Tibet to experience the “Paradise on Earth” with its blue sky, pristine lakes and rivers, its luxuriant forests and deep canyons (the latter in Southern Tibet). China’s Tibet Policy – Recipe for Natural Disaster. One Belt, One Road Policy – Neocolonialism. Wave after wave of Chinese tourists poured into Tibet. In passing, the Tibetan intangible heritage had to be preserved, often with Chinese characteristics. The same formula has now to be replicated in Xinjiang. Second, in order to “stabilize” the plateau, Chen imposed restrictions on the local population like never before. Similar policies will be used in Xinjiang. Human Rights Watch (HRW), an organization based in the US, just released a “glossary” of special slogans or “formulations” (tifa) used by the Chinese officials and the media when referring to party policies on the plateau. The implementation of these tifas, which originated during Chen’s tenure in Tibet, is often dreadful… but efficient for Beijing. Chen has taken these tifas with him to Xinjiang and started making good use of them. The “stability” of the Western province is vital for China, as it is the geographical hub for the Belt and Road Initiative: it will connect the New Silk Road (Central Asia) to the China Pakistan Economic Corridor. Chen now plans to bring millions of tourists to Xinjiang in order to “dilute” the Uyghur characteristics. In a “White Paper on Xinjiang” recently published by Beijing, the Communist Party hides its failure by saying: “Legitimate rights of religious organizations have been effectively safeguarded. Xinjiang has published translations of the religious classics of Islam, Buddhism, and Christianity in multiple languages,” adding 1.76 million copies of the Quran have been printed and distributed. Beijing says that the main problem is the lack of eligible bilingual teachers in the regions, but will the teachers from the mainland teach the Turkish language of the Uyghurs or Mandarin? Not difficult to guess. 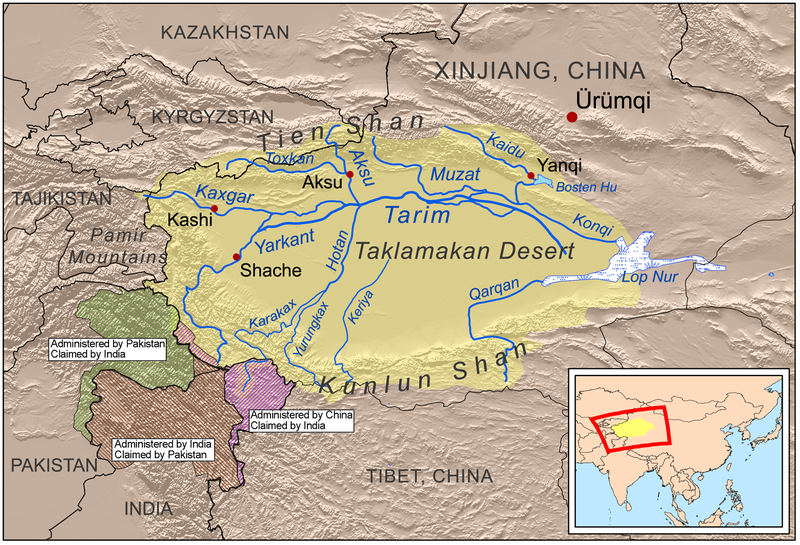 Language, in Tibet or Xinjiang, is an instrument of assimilation. Chen is also working hard to improve the infrastructure. Last week, Xinhua announced the construction of 10 new airports to be built in Xinjiang by 2020; further, six older airports will be renovated and expanded. It has implications for India. One of these airports will be built in Yutian (also known as Keriya), a county of Hotan Prefecture not far from the disputed Aksai Chin. 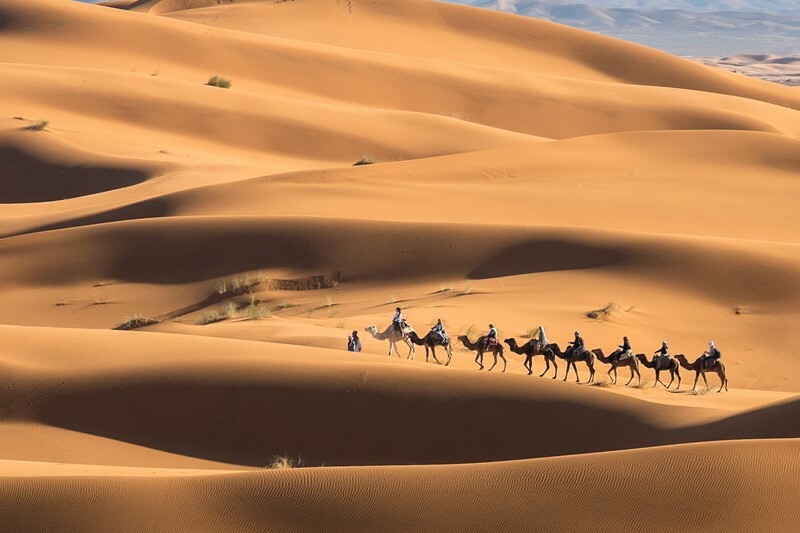 Located south of the Taklamakan desert and north of the Kunlun range, Keriya has always been a major stopover on the ancient Silk Road. In view of the proximity of the Indian border, it makes sense for China to have a new “civil” airport at Keriya, considering that there is no such thing as a “civil” airport in China, especially so close to the Indian border. Keriya airport is designed to annually handle 1,80,000 passengers and 400 tons of cargo; it will have a 3,200-meter runway, a 3,000-square-meter terminal building and cost 104 million US dollars, says Xinhua. There is no doubt that Chen has been mandated to apply the “Tibet Recipe” in Xinjiang. Will he succeed is another question. It is however certain that the stability of the Muslim region is vital for the Middle Kingdom and its gigantic BRI “linking” project; India needs to watch and be prepared. China’s Tibet Policy – Recipe for Natural Disaster. One Belt, One Road Policy – Neocolonialism. 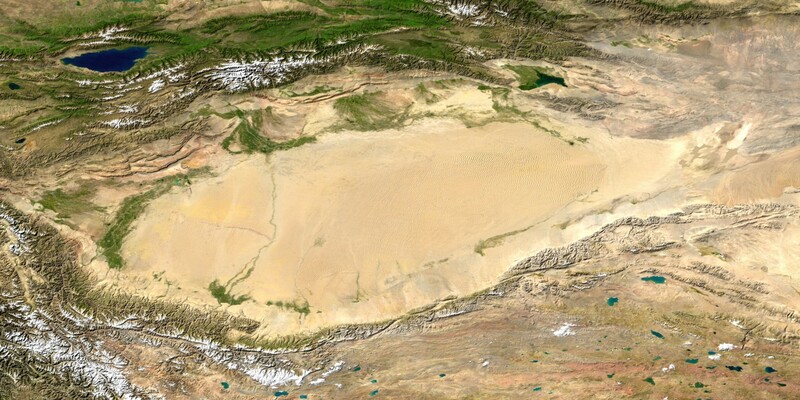 Taklamakan Desert, Silk Route. China’s Tibet Policy – Recipe for Natural Disaster. One Belt, One Road Policy – Neocolonialism. 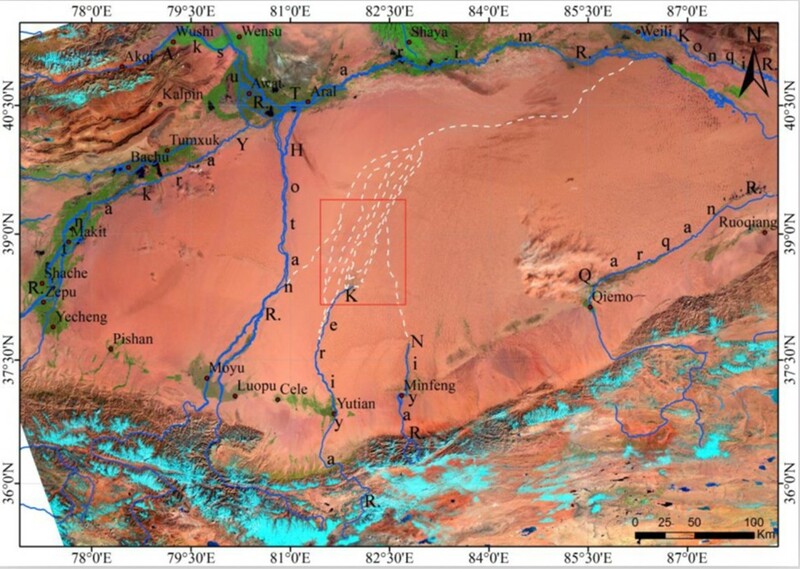 Satellite images of Keriya River changing courses. China’s Tibet Policy – Recipe for Natural Disaster. One Belt, One Road Policy – Neocolonialism. 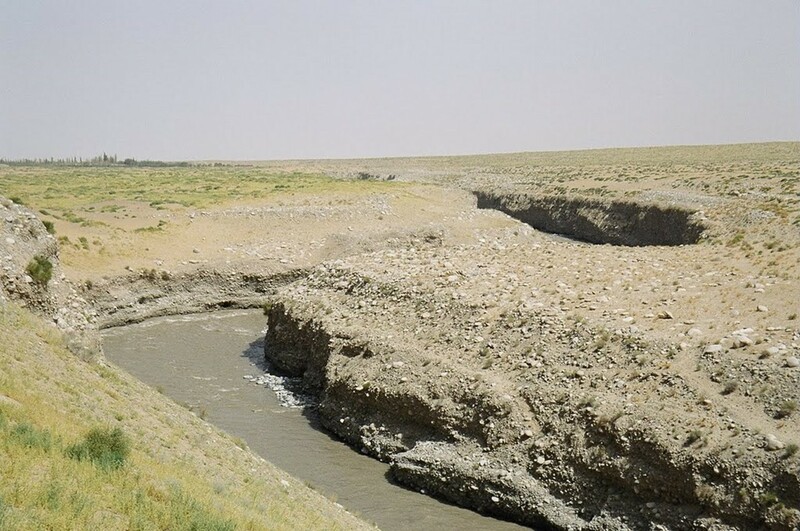 Keriya River. 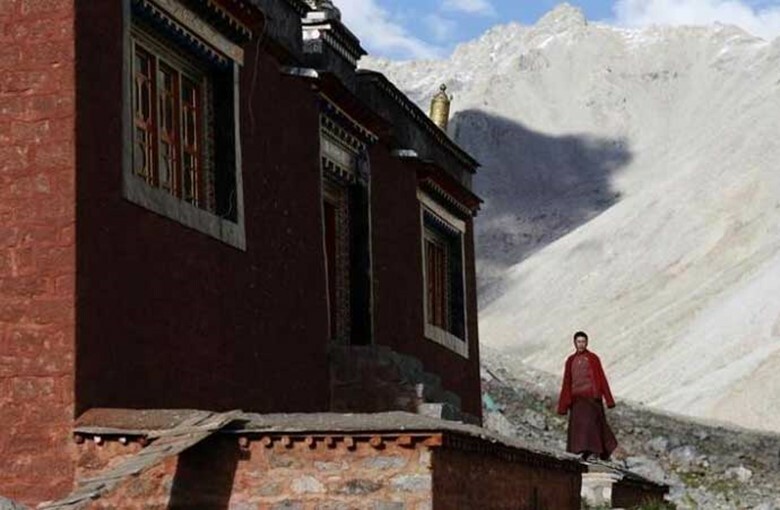 CHINA’S TIBET POLICY – RECIPE FOR NATURAL DISASTER. NATURE’S PLAN FOR REGIME CHANGE IN BEIJING.